Brittos Restaurant & Bar is a legendary place in Goa located at the Baga beach, it is renowned for its splendid food and soothing ambience. No matter what time you are visiting the Britto’s, it will not disappoint you. The highlights here are the finger licking breakfasts, the desserts and the delicious Prawns Curry with rice for lunch. 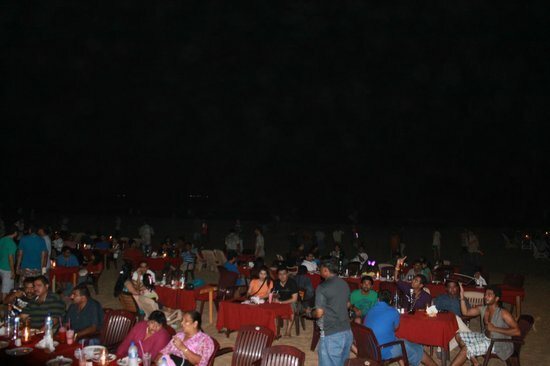 The beach facing restaurant is located at the Baga Beach very close to Britto’s, you might get confused where to go and relax. The best thing about St. Anthony’s shack is its ambience and service, it’s simply electrifying. You can order a Hookah and chill out after a tiring day enjoying water sports at Baga veach. As the name sounds, Sher-e-Punjab is one epic restaurants serving finger licking North Indian and Mughlai food, an ideal place for those who can’t get along with the Goan seafood (it happens quite a lot for Northerners). When visiting Panjim, stop by at Sher-e-Punjab and order Chicken Tikka and Butter Chicken with Garlic Naan. It’s the best! For the vegetarians, the Udipi Palace in Panaji is the ideal spot. The service is decent and the South Indian food served here is everything you need after strolling Panaji. Udipi Palace is best known for its Dosas and Fried Idly. A simple vegetarian delight indeed! As the name suggests, Delhi Durbar is also a North Indian and Mughlai restaurant in Panjim. But, instead of Butter Chicken, this restaurant is well known for its Kebabs and other snacks. You might have seen a lot of Delhi Darbar restaurants across the globe but this one has a quite a Goan touch which gives a feeling of being a traveller not just a foodie. Well choosing between Delhi Darbar and Sher-e-Punjab is always tricky. Located at the main road heading towards Calangute beach from Baga, at the circle you will find this happening hangout place “Infantaria”. It is a family friendly place where you get mouth-watering food, you just sit here and wish to try out each and everything mentioned on the menu. A beer with fish and chips will start your day well followed by some delicious pastries and chicken/mutton patties. Ideal for breakfasts! A Tartaruga is nestled at a very sweet spot in Colva beach that overlooks the sea. This place is a delight for seafood lovers, A Tartaruga is popularly visited for its prawns cocktail, stuffed crabs and Rechado Tiger Prawns. One just can’t get over authentic Goan food served here with remarkable hospitality. If you are looking for a restaurant in North Goa that serves Chinese, Goan, North Indian and Continental food at reasonable rates, then Mirabai’s Goan Village is a perfect place. The restaurant is set-up in an open air kind of setting and the food here is authentic yet very simple, although a bit spicy but that’s how Goan food is. As the name suggests, Fish”Ka in Salcete is a fine dining restaurant that specialises in seafood primarily. The ambience is soothing and the service is fantastic. Must to taste dishes at Fish”Ka are Shepherd’s pie, Pork ribs and the prawn based dishes served with chilled beer. The Calamari here is highly recommended for seafood lovers, it will definitely pamper your taste buds. Fisherman’s Wharf is another wonderful setup in Salcete, it is based on the banks of Sal River. The arrangement here is in open space with elegant lightings and lavish catering. The food is prepared in Goan/Continental style and its cost is on the higher side, but the starters and meat based dishes are worth every penny. The capital city Panaji is full of life, you will find a lot of restaurants and food joints at every corner, but the Black Sheep Bistro is something that can’t be missed out. It is perhaps the best perfect place to sit and gossip or to go on a date, the food is scrumptious and is professionally cooked with the right amount of spices and sweets. The pricing is fair enough making it one of the best places in Panjim for those who like to have conversations over a meal. Martin’s Corner is a unique concept which came into limelight during the early 90s, it is a very popular resto-bar near the Sunset Beach offering fine hospitality with yummy Continental food. It has been recommended by many celebrities which made it a hotspot among the tourists. 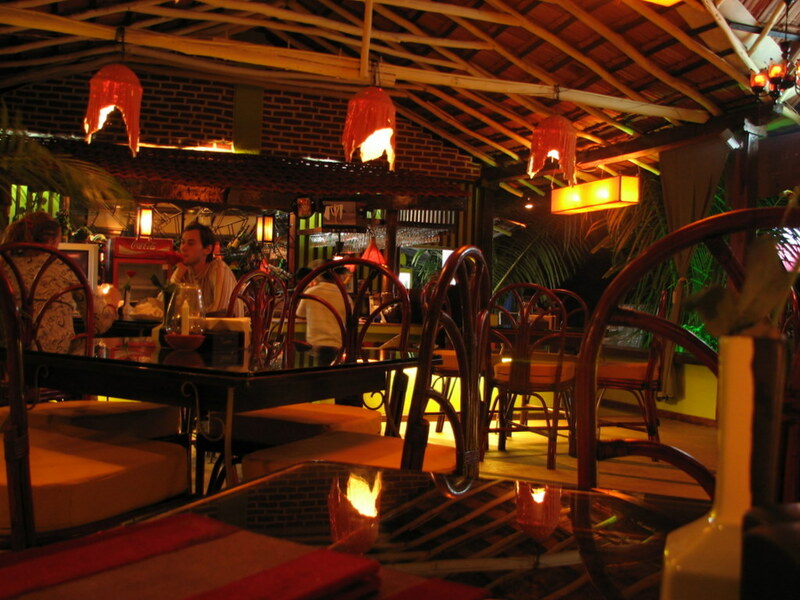 So when in Goa, look forward to spend some gala time here with your friends and enjoy the unique food experience. Aptly named, the Mum’s Kitchen in Panaji is a decent setup where you can avail customised services and enjoy some fish/prawns based snacks followed by yummy food. You can ask the attendant to prepare Fenny (local Goan liquor) based seafood and order Pork Sorpote or Kingfish Curry alongside to relish the typical feel of Goa. Of course, a bottle of wine or pitcher of beer would be even better to go along with your order. This fine dining restaurant is modern yet it holds the vintage essence of Goa, as it is housed in an old building. The Upper House is located in front of Municipal Park in Panaji. The food here is special, you won’t find it elsewhere, and especially the bacon wrapped prawns and Chicken ala- Rex. The menu is too tempting to make you crave for the real deal. A must visit!